No, but I'm interested to purchase tickets to attend the Summit. Be seen as an authority in front of thousands of Marketplace founders and investors. The brightest minds in the marketplace economy are here to show you what it takes to succeed. Would You Like To Join These Speakers Too? Why Are We Hosting This Summit? We are creating this Summit because Marketplaces are disrupting many verticals in the market. As more people build Marketplaces, we noticed the unique challenges that arose, such as the struggles to build a brand, reach a critical mass and maintain the momentum. We hope to fill the gap by having 20+ experts share their knowledge and experiences. We hope to encourage more learning from everyone around the globe. We believe that 2017 will see more Marketplaces replacing traditional business models. We aim to empower you, whether you are an aspiring founder or are currently working in the industry, to build, grow and scale your Marketplace! Most tech startup events tend to be bounded by geography, and we wanted a new kind of experience where participants and speakers also have the opportunity to network in closed groups ... online! We are excited to bring curated speakers, who have real-world experiences in creating Marketplaces, to you! See you at the Summit! 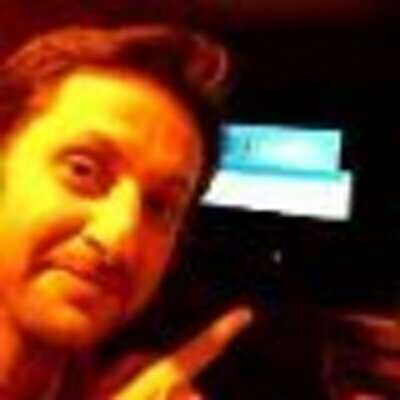 Sangeet Paul Choudary is the best-selling author of the books Platform Revolution and Platform Scale, and the founder of Platformation Labs, a Boardroom/C-level executive advisory and research firm. He is ranked among the top 30 emerging thinkers globally (2016) by Thinkers50 Radar, and his work on platforms has been selected by Harvard Business Review as one of the top 10 management ideas globally for the year 2017. Sangeet is a frequent keynote speaker and has been invited to speak at leading global forums including the World Economic Forum summits, World50 Summit, Mobile World Congress, and the G20 Summit 2014 events. He has also been a keynote speaker for leading global brands including Accenture, Adobe, Autodesk, GE, Huawei, Microsoft. Sangeet is the co-chair of the MIT Platform Strategy Summit at the MIT Media Labs, an Entrepreneur-in-residence at INSEAD Business School, and an executive educator with Harvard Business School Publishing. He is also the founder of Platform Playbook, an online Academy focused on enterprise education on platform strategy. Sangeet is appointed to the Global Future Council on Platforms at the WEF and to the advisory council for the WEF’s initiative on Digital Transformation. Sangeet’s work has been featured on the covers of the Harvard Business Review and the MIT Technology Review as well as the MIT Sloan Management Review, The Economist, The Wall Street Journal, WIRED Magazine, Forbes, and Fortune. He is the youngest person to be ranked by Thinkers50 India among the top 50 thinkers globally of Indian origin. As Head of Commercial for Adyen Asia Pacific, Bradley Riss leads the company’s strategic and commercial activities across the region. Bradley is responsible for Adyen’s merchant facing activities, leading a multifunctional team who work with major local and international brands to enhance payment acceptance across online, mobile and point of sale channels. Bradley’s experience in ecommerce is specialised on payment platforms and Software as a Service. He has built and managed highly successful sales, account management, channel development and support teams across Europe, Asia Pacific and North America. Prior to Adyen, Bradley held senior positions at ecommerce platform and payments provider, Digital River, based in San Francisco. Bradley extended his experience into the Asia Pacific region in 2013 where he led Digital River’s market entry. Bradley graduated from the University of Edinburgh, with a Master’s Degree in Business Management. 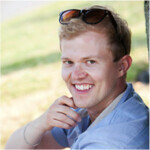 Juho Makkonen has been building online marketplaces for almost 10 years. During that time, he has met and advised hundreds of marketplace entrepreneurs. He is the co-author of "A practical guide for building an online marketplace business". He currently serves as the CEO and Co-Founder of Sharetribe, a company that makes it easy and affordable for aspiring marketplace businesses to build their online platform. He is also a connector at OuiShare, the global collaborative economy network. José del Barrio founded Samaipata Ventures in mid-2015 and holds the position of CEO of the fund since then. He cofounded in 2011, La Nevera Roja, the leading web site in the Spanish food-delivery market, and was the CEO of the company during four years. In January 2015 he led the sale of the company to Rocket Internet for ~80M€. For a few months after the acquisition, he helped the buyer in the transition process. He started his career working as manager of the Strategy Group of PwC. 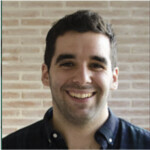 Prior to this experience, José worked as supply chain analyst at Accenture, and as project manager at Fundación H.N. in Bolivia. José holds a Bachelor in Economics and Business Administration from University Carlos III of Madrid. He speaks Spanish and English. 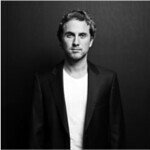 After his last company was Acquired by Adobe (BusinessCatalyst.com 2009), Adam Broadway saw the shift happening from traditional single vendor eCommerce to Multi-Vendor Marketplaces. Adam's real-world business acumen and deep technical knowledge building Enterprise grade scalable solutions has allowed brands like Intel, Hallmark and serious Entrepreneurs build their marketplace verticals for People, Products, Places and Project-based Communities. As CEO and Founder of Near-Me.com, Adam has become the "go-to" guy for knowledge on building successful Marketplaces and provides rich thought leadership on the company’s blog. Álvaro joined Samaipata Ventures in September 2015 and has been Associate of the fund since then. 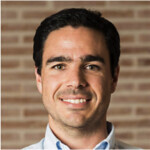 Previously, he worked at J.P. Morgan as Investment Banking analyst in the Madrid M&A team. He started his career in London at Nomura’s Investment Banking division. Álvaro holds a Bachelor in Business Administration by Deusto University of Bilbao (“La Comercial”). Ranked 1º in graduating class. He speaks Spanish, English and Basque. Tyson has been actively involved in both Online Payments and Mobile Payments for 15 Years, with extensive experience working with both traditional and next generation businesses. He has worked with many of these organisations through his time in Braintree, PayPal and Vodafone. He is excited by projects and businesses that are trying to enhance 'mobile' experiences and drive commerce by using the 'invisible payments' like Uber, Hotel Quickly, Hailo and many others in the Asia region. Currently expanding the Asia footprint of Braintree, he is involved with expanding access to the traditional payment methods as well as the emerging payment technologies. He is an avid mentor and educationalist, spending much of his time explaining 'payments' and how they can be used to grow commerce. Chad Billmyer is CEO of Panjo, an online marketplace stocked with unique items for sale from the world's most knowledgeable enthusiasts. Prior to Panjo, Billmyer ran Petersons.com, a college planning and financing Web site. He started a software company, Foresite, in his junior year at Brown University which won Brown's business plan competition in 2000. Nelnet (NYSE: NNI) acquired Foresite in 2005. He mentors startups in Brown's entrepreneurship program and startups in the Mucker Capital portfolio in Los Angeles. 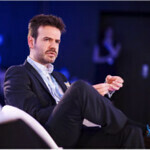 Marco Torregrossa is the Managing Director at Euro Freelancers, a synergic network of independent EU affairs professionals and investors specialised in the collaborative economy and crowdsourcing solutions. He is the Secretary General at the European Forum of Independent Professionals, a European association advocating for policy, business and society to become more conducive to the self-employed way of working. Named by PR News the most creative practitioner in EU affairs in 2013 and by the Eurasia Foundation global leader in 2012. Great passion for how freelancers in the sharing economy and blockchain decentralised networks can enable and disrupt markets and regulations. I serve on 2 EU expert groups, wrote over 250 blog posts, been quoted in major publications and I am a frequent public speaker on the subject (including TEDxMoscow 2013 and TEDxLeuven 2014), always thriving to be in the intersections of policy and business. Francesca is a project manager, writer and speaker that works on how tech can change business, society and human interaction. She helps teams working on meaningful projects to increase their impact through collaboration and experiments with new forms of distributed organization. She has played an instrumental role in developing the international network OuiShare since 2012 and co-founded OuiShare Fest, an interdisciplinary festival about tech & society that is held annually in Paris, Barcelona and Rio. Kenneth Low is the Chief Commercial & Operations Officer and Co-Founder of Arcadier, a global leader and specialist in MaaS (Marketplace-as-a-Service) technology. Kenneth has more than 18 years of work experience in the area of Strategy, Marketing and Business Development. He has demonstrated acute business acumen in scaling businesses across diverse markets especially in the area of eCommerce and online payments. Established in 2013, Arcadier is headquartered in Singapore with offices in Sydney and Manila. Arcadier’s vision is to democratize marketplace technology with the strong believe that the technology should be simplified so that anyone with a marketplace or a sharing economy idea can make them a reality. For its innovation, Arcadier became an awarded finalist at the Emerging Enterprise 2016 and is a SiTF 2016 Bronze Winner for the Best Innovative Early Stage Company. Katelyn has 14 years of experience working with agencies and large brands on eCommerce, acquisition and digital marketing growth and innovation. Katelyn leads the marketing for Amex Ventures company IfOnly, which is a marketplace for unique adventures with top talent. Previous to IfOnly, Katelyn led customer marketing for Kabbage, which is the largest online site for SMBs to get capital. She also led the acquisition and digital Marketing team at Shutterfly brands, driving digital marketing strategy for all of the company’s brands, including Wedding Paper Divas, Shutterfly, and Tiny Prints. She also led digital marketing and acquisition for global hotel brand La Quinta during their post Blackstone acquisition which led to their re-IPO. Prior to direct brand experience, Katelyn worked on the agency side with Omnicom on brands like Hyatt Hotels, Best Buy, Brinker Restaurants and SunTrust Bank to help them build digital into their marketing mix. Katelyn is an influencer in the growth marketing space; she is an advisor and mentor for Tradecraft, which helps to train people to succeed in traction roles at high-growth startups, and an advisory board member for iMedia, SFBIG and Brand Innovators. 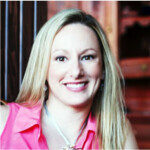 In 2013 Katelyn was named a top 40 under 40 marketer in the Bay area and in 2011 a top 10 internet marketer from iMedia. Katelyn holds a business degree in Marketing from the University of North Texas. Jaime is a digital marketer and growth acceleration leader with over 17 years experience across B2B and B2C businesses in US and Singapore. Currently as Head of Marketing in RedMart, she is responsible for all marketing activities including customer acquisition across all online and offline channels, retention strategy, branding, partnership and marketing communications. As a venture investor and active mentor of other startup founders, working as Entrepreneur in Residence in US-based weeoi Ventures, Jaime also work regularly with founders in early-stage team building, business structure for growth and acceleration. Neal Gorenflo is the co-founder of Shareable, an award-winning news, action, connection hub for the sharing transformation. Neal has become an expert on sharing through 10 years of entrepreneurship, thought leadership and as an avid practitioner. He has consulted with Institute for the Future, Stanford University, and numerous startups. His expertise has also been featured by multiple media outlets including Wired and The Today Show. Airi Lampinen is one of the leading experts on peer-to-peer exchange and platform economies in the field of Human–Computer Interaction (HCI). Over the past decade, her research has focused on social and economic activities in networked settings, ranging from peer-to-peer exchange in local communities and network hospitality to on-demand service platforms and social media. Lampinen’s work has been crucial in identifying platforms and the so-called sharing economy as important topics in HCI. Most recently, she co-authored a piece on how market design can help us understand the struggles and successes of peer-to-peer exchange platforms. 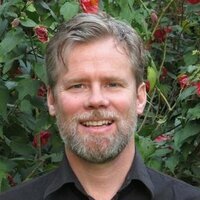 Currently, Lampinen is a researcher and lecturer at Mobile Life Centre at Stockholm University. 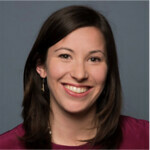 She holds a PhD in social psychology from University of Helsinki and a BSc (Eng.) from Aalto University's interdisciplinary Information Networks degree programme. Previously, she has been a researcher at Helsinki Institute for Information Technology HIIT, a visiting scholar at UC Berkeley's School of Information and a research intern at Microsoft Research New England. Moreover, she is an associate at the independent Nordic think tank Demos Helsinki since 2013.